These Pet ID Tags celebrate the brilliant & beautiful breed that is Basset Hound! These Dog ID Tags are such great fun and so very stylish! Help your dog show their loyalty to their breed with these fun Tags! This Tag is perfect for all the Basset Hound's that may make up part of your family. 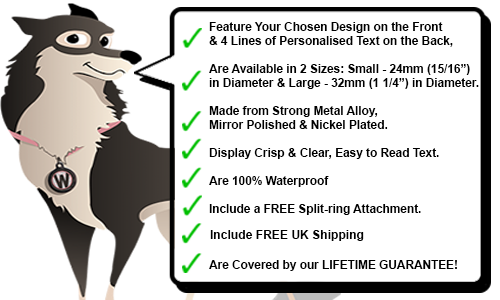 Celebrate and show your love for your favourite breed with this cute ID tag.